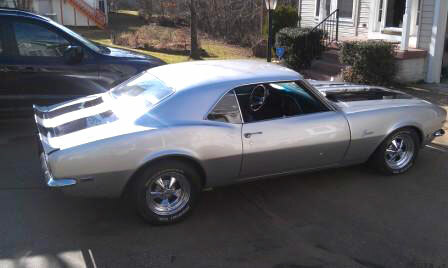 1968 Chevrolet Camaro 400hp For Sale. 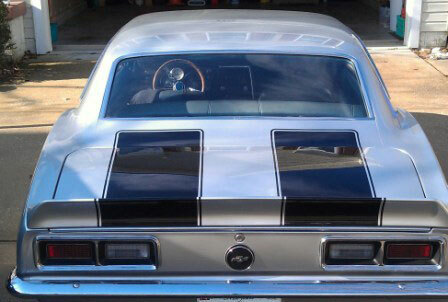 1968 Chevrolet Camaro 400hp for sale. Silver chevy camaro with black racing stripes. It’s an automatic 327 small block engine with 400hp 411 gears. 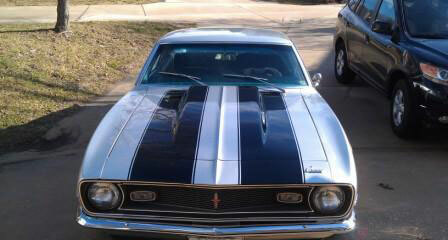 Has a 350 turbo transmission with Ford 9 inch rear. Car has a great exhaust sound… Has won several awards at local shows. This car is ready for the shows or the track. Have all orginal paper work dating back to 1968. Have every receipt from day one. This car was built from the ground up by the owner who is a mechanic.